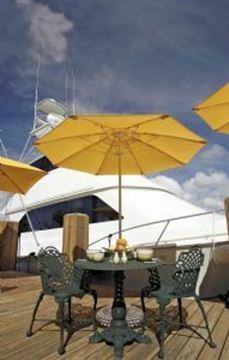 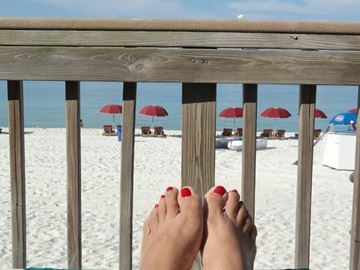 Fiberbuilt Umbrellas for sale include Market and Patio Umbrellas. 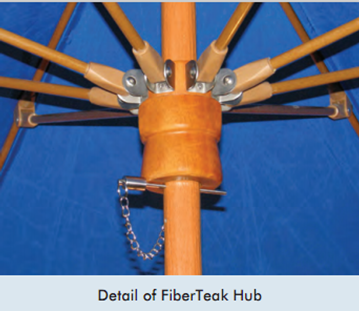 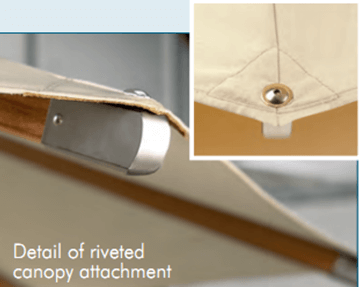 Fiberbuilt Market umbrellas, garden umbrellas, and beach umbrellas are commercial grade for hotels, apartments, cafes; anywhere commercial quality is required. 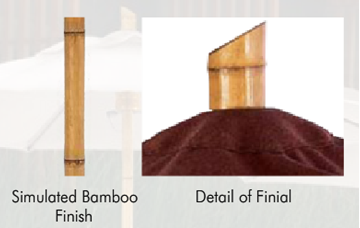 They withstand the harshest weather conditions of intense sunlight, high winds, driving rain without breaking or losing their shape. 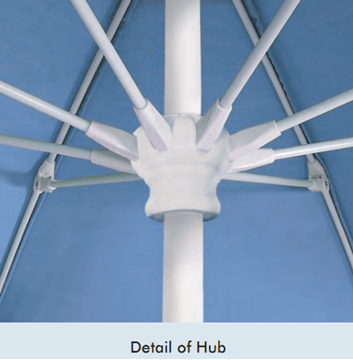 The unique fiberglass rib structure combined with Sunbrella fabric makes the very best umbrellas made for commercial and residential use. 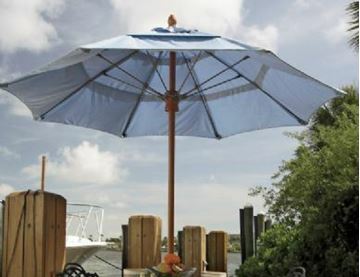 Besides the popular Sunbrella colors we have partnered with Guy Harvey to offer beautiful canopies with the fish of the Sea.